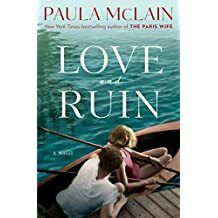 E-book bargains (McLain and Massey) – Joyce's mystery and fiction book reviews with some non-fiction too! 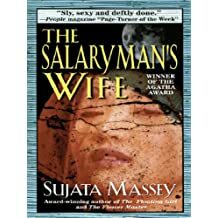 I have read and enjoyed every book in Sujata Massey’s Rei Shimura series. I wish that the author would write more novels about Rei. However, Ms. Massey is currently writing another series that is based in India. The first in that series is The Widows of Malabar Hill. But..back to this Japanese series. Each novel is an excellent mystery with recurring characters, a bit of romance and information about Japanese life. For instance, this one is about the lives of the wives of Japanese businessmen; other novels have had information about manga, flower arranging, etc. These themes are seamlessly intertwined with the stories. This series is highly recommended! Sujata Massey was a reporter for the Baltimore Evening Sun and spent several years in Japan teaching English and studying Japanese. She is the author of The Salaryman’s Wife, Zen Attitude, The Flower Master, The Floating Girl, The Bride’s Kimono, The Samurai’s Daughter, The Pearl Diver, and The Typhoon Lover. She lives in Minneapolis.